Home >> May 2018 Edition >> Innovation: New Antennas, New Opportunities—What’s all the hype about Electronically Steered/Scanned Antennas (ESAs)? Innovation: New Antennas, New Opportunities—What’s all the hype about Electronically Steered/Scanned Antennas (ESAs)? However, one element has not changed: the upside-down-umbrella contours of the parabolic dish, which must be manually or automatically pointed at a satellite and physically maintain its lock on the signal. Now a new generation of electronically-steered/scanned phased array and beam-forming antennas is coming to market, initially to fill niches in mobility and related markets where satellite has not been able to penetrate due to the size, configuration and cost. 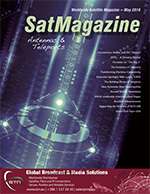 With the onslaught of High Throughput Satellites (HTS), smallsats and new constellations of interconnected satellites that promise to provide a space-based internet, the price of satellite bandwidth has substantially decreased — the world needs the high-speed steering and mobility capabilities of an electronically steered / scanned antenna (ESA) to be able to address the changing needs of how people connect. ESAs have the potential to innovate and disrupt the industry and open up new market opportunities for service providers. Most importantly, the service providers need to know that ESAs are providing their value today. These antennas are being used in various areas such as maritime, trains, buses, the energy sector, construction industry, Intent-of-Things (IoT) users and, of course, land mobile for commercial and governmental operations. Throughout the history of the satellite business, antennas on the ground have primarily held one shape. Think of an umbrella opened and turned upside to point its handle at the stars. The parabolic dish concentrates the faint signals coming from space and focuses them on a receiver at the center. Outbound signals are focused in the same way into a beam that can reach all the way to geosynchronous (GEO) orbit. However, the future of satellite antennas is flat. Low-profile, mechanically-steered phased-array antennas have been around for several years. As a matter of fact, phased array transmission was originally demonstrated in 1905 by Nobel laureate Karl Ferdinand Braun who demonstrated enhanced transmission of radio waves in one direction. During World War II, Nobel laureate Luis Alvarez used phased array transmission in a rapidly steerable radar system for “ground-controlled approach,” a system to aid in the landing of aircraft. In those early days, the steering was mechanical, while the new generation of antennas that are receiving all of the hype have the beams formed and steered/scanned electronically, hence the name — electronically steered / scanned antennas. Companies including Ball Aerospace, Boeing, Isometric Systems, Kymeta, Panasonic, Phasor and others have developed, or are in the process of developing, truly flat and malleable, electronically-steered, high-gain antennas that just need a view of the sky to lock onto a satellite. Depending on the design, ESA can have similar or lesser specifications as their parabolic same-size counterparts and can have the RF electronics as part of the elements, or simply operate similarly as a passive device. Also, as do their parabolic counterparts, they distribute spurious emissions; however, some designs of ESAs can suppress those emissions via software design. 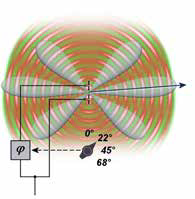 Unlike their parabolic counterparts, phased array antennas are composed of many radiating elements with a phase shifter. Beams are formed by shifting the phase of the signal emitted from each radiating element to provide constructive and destructive interference to steer the beams in the desired direction. Multiple ESAs can be phase-combined in order to create a more substantial antenna system capable of achieving greater gains and throughputs in order to address the demands of most any satellite link analysis. One of the many factors that has kept satellites a relatively small niche of global telecom is the cost of terminals. Certainly, the satellites themselves are massively expensive, but a single satellite can serve users that number in the millions... in a broadcast application at least. With the new generation of high-throughput satellites, they can serve users of internet and data at the same scale. Furthermore, with the promise of multiple Low Earth Orbit (LEO) constellations due in the near future, latency equivalent to terrestrial connectivity will be seen with even greater throughput and complete global coverage. 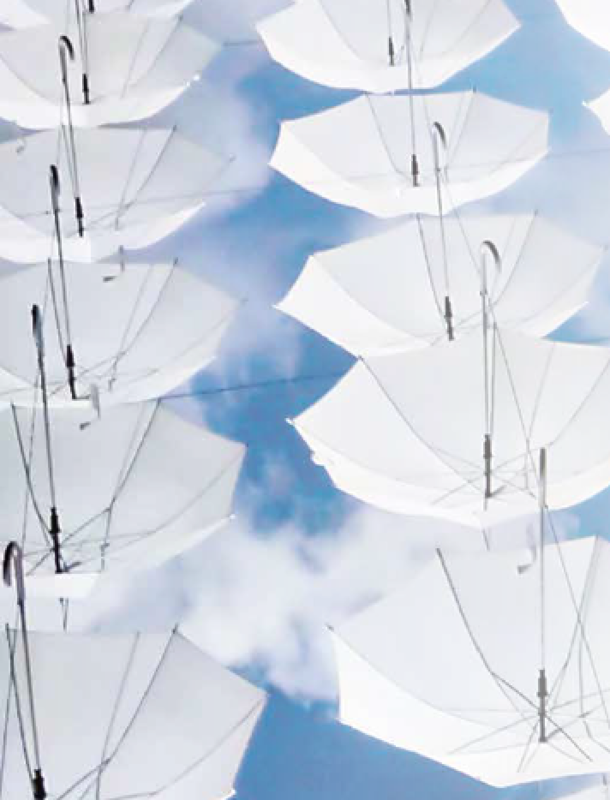 ESAs promise a significant drop in the cost and complexity of connecting the ground to the sky in mobile and transportable applications. All know what happens when the cost of a desirable item such as connectivity drops — demand rises — applications are created. Ideas that never seemed feasible before — such as making a vehicle a hot spot on the internet as well as autonomous transportation — suddenly are within reach of millions. As promised, there are many manufacturing advances, commercial pilots and projects and strategic partnerships these electronically-steered antennas have brought about and will continue to bring to the satellite communications industry. They’re expected to be a market disruptor with commercially competitive pricing to coincide with the abundance of LEO constellations and the insatiable demand for broadband connectivity everywhere in the world which will continue to grow. Flat-panel and electronically-steered antennas will have an impact when their technology can be fully proven. With the mission to empower mobile broadband access across all use cases and markets, one of the drivers to developing ESAs is the expectation that new constellations of non-geostationary satellites that will be launched by companies such as LeoSat, OneWeb and Telesat. And now, SpaceX is in the mix, as their application, Starlink, with its ability to reach U.S. customers with a mega-constellation of 4,425 broadband satellites, has recently been approved. These companies and others will enable ESAs to provide continuous satellite broadband connectivity across the globe, including over the oceans and the poles. As these constellations come online, the mobile broadband connectivity market is bound to explode because non-geostationary satellite constellations will improve latency, global coverage and the user-economics of mobile connectivity. In order to achieve worldwide, broadband, continuous, ubiquitous coverage, the most-efficient approaches to technologies and spectrum need to be used as well as the incorporation of hybrid technologies to develop multiple solutions to appropriately address future global needs. Therefore, the ultimate achievement for the ESAs will be when they will be interoperable with any kind of satellite system, whether it is Geostationary Orbit (GEO), Medium Earth Orbit (MEO) or Low Earth Orbit (LEO), having continuous connectivity between all of them from a single aperture. According to NSR’s recent report ‘Flat Panel Satellite Antennas, 3rd Edition’, the market will grow from US$312 million last year with just over 100k units shipped globally to nearly US$8 billion and two million units to be shipped by 2027. The same report forecasts 92 percent of equipment revenues will be in mobile applications, with the commercial world dominating government by a factor of 4 to 1. In order to achieve this growth, especially when considering consumer broadband, the ESA manufacturers have the challenge of getting to market quickly with fast-changing antenna elements which are continuously interoperable (amongst various satellite constellations) in a single unit while achieving the ROI of their business model. Their biggest challenge, though, will be to achieve a commercially successful price point. Ultimately, the old adage for the connectivity industry — whether it be satellite or terrestrial remains the same — it’s all about making the solution commercially viable and driving down the cost/bits/hertz. Author Paul Scardino is GLOBECOMM’s Senior Vice President, Sales Operations/Engineering and Marketing.